(Spoiler ahead) Like many c-dramas, Moonshine and Valentine 结爱千岁大人的初恋 doesn't seem to have escaped the curse of bad endings. All hope is not lost as there is still one special episode to go, but recent developments to the story have provoked criticism. Screenwriter Shen Yang takes the blame by writing a long explanation of what happened. She starts off apologizing and asking the viewers not to blame the director and the actors for the collapse in narrative and even said that Director Leste Chen has gone on ratings site Douban to apologize when it's not his fault. She started on the project three months before filming began and finished writing eight episodes. There were problems with scheduling as the leading lady was changed last-minute until they found Victoria Song as a replacement, which delayed filming by fifteen days. However, the actors' schedules were already fixed and the show still needed to be completed on time. Around the time when Shen Yang had written scenes up until episode 13, she was advised that she shouldn't write a lot of scenes for Helan and Pipi anymore because they wouldn't have time to film. The actors didn't have it easy either as they often worked overtime. Victoria Song was hospitalized while filming the drama and went back to work after she recovered, but there was only so much they could do. Many scenes still had to be rewritten to focus on the supporting characters instead. Compared to the earlier parts, the latter part of the story was written as it was being filmed, which was difficult for an adaptation that has been making many changes to the source novel. Shen Yang said that she often admired the Korean and American live shoot systems which seemed cool and on a different level, but it wasn't until she experienced it firsthand that she learned how hard it could be. Shen Yang admits that she is not happy with the result as there were many things setup in the earlier episodes that weren't addressed. In hindsight, she realizes that she could have done better but it was the best she could do at the time. She ends with feeling regret for her lack of experience and apologizes for letting everyone down. It's too bad to hear that the show was facing all these problems, but I still think this is a better drama than most even if it seems to be giving a warning sign not to get our hopes of for the last episode. The show has recently hit 2 billion views online. 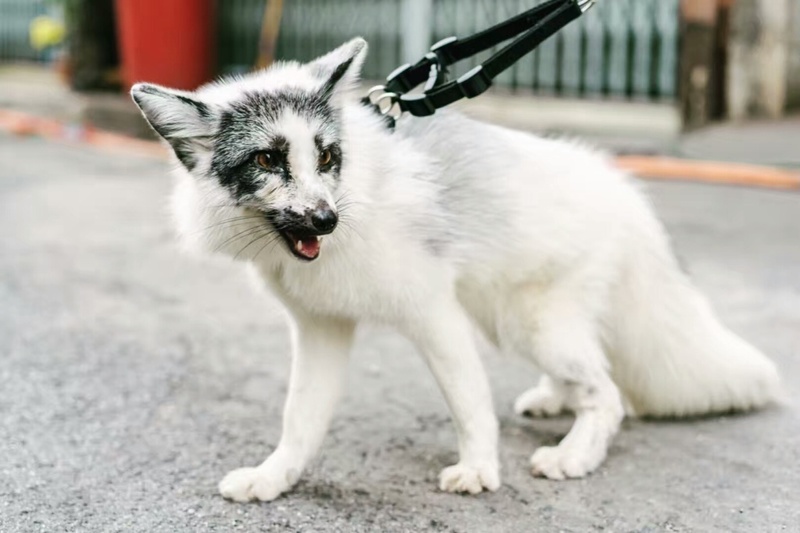 Helan is a fox now.. how will this end!? After episode 14, the 2 leads seem to become cameos. I honestly don't think her explanation make sense as they have 3 month and half for only 24 episodes. Don't they usually film much more with that same amount of time? How many screen time can the lost 15 days could take? We know chinese dramas do give out screen time for supporting roles if they are meant to be pushed by the investor or production company... The way we were has similar situation, right? Episode 25 next week is the last episode. And it seems like they are heading toward the novel's open ending. Helan also returned to his fox form in the novel too before the last chapter. If they have an open ending, can we have season 2 with the same cast and better writing? The chance is slim but I can only hope. It'd be weird to see someone played Pipi in Season 2, especially Victoria is the one doing most of the emoting between the 2. 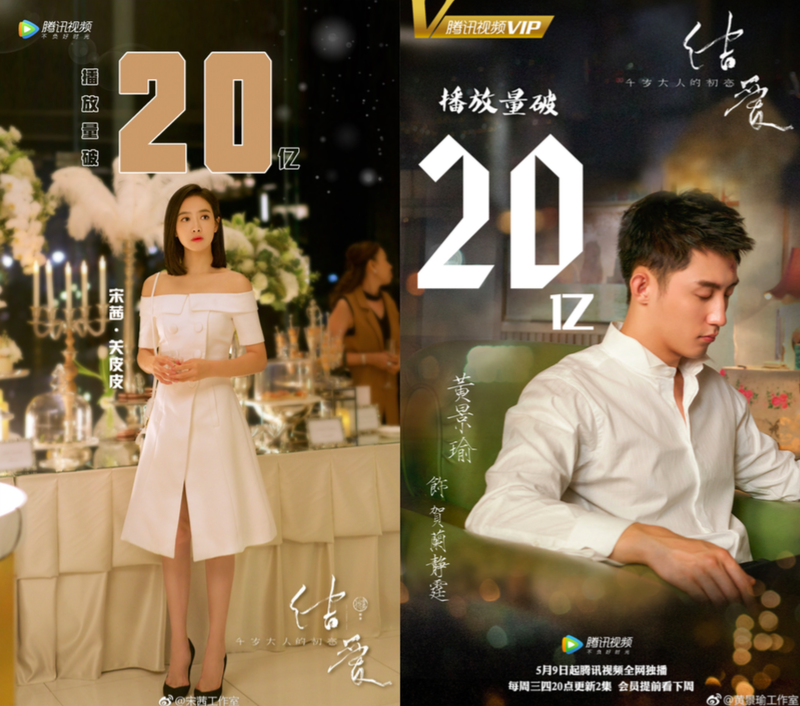 I really liked this drama...I have seen up through episode 20. When an unbearable problem is set up in a drama, the writers should already have a viable solution at hand. Also, most dramas spend a lot of time rerunning scenes when that time could be used to firm up the actual plot.I loved these low key characters and hate to think of a lazy ending. I’ve enjoyed this drama more than anything else currently. Episode 24 was such a disappointment though, I won’t expect anything from the last episode. Just give it at least a decent conclusion. Ep 24 is a special which meant to give Johnny back some screen time along with those bonuses after each episode. So he and the 2 minions have 2 extra episodes. I was actually enjoying this drama..! Why do Chinese drama's have awful endings? THIS IS WHY I SHOULD JUST STICK TO KDRAMAS. If any of you know any good Chinese dramas with happy endings that would be nice. Ten Miles of Peach Blossoms (aka Eternal Love) is a good Chinese drama, it's long but a good story with great acting from the actors too. The drama is good, you have to remember, that will other season. Hope they does not change the actors or act rices, they are good. Just finished watching ep 22..As I read your comments, lost my appetite..haha! but might as well watch it till the end. The flow of the story is a mess, emotions to the other end. Makes me think that the two leads aren't the lead. Anyway, whatever the ending is I hope that they will have (probably) a season2? haha..just to salvage the writer's integrity..Johnny is a discovery! hoping for more projects for him..VS is more than just a pretty face, she has improved a lot! This show had oodles of potential, but collapsed in a heap. Everyone involved, I hope, will grow from this failure and come back stronger. There needs to be a season 2 to fix this!!!!! please!! There must be a second season, but please, won't change the actors. I saw another series with Victoria and they changed her, and was a disaster.